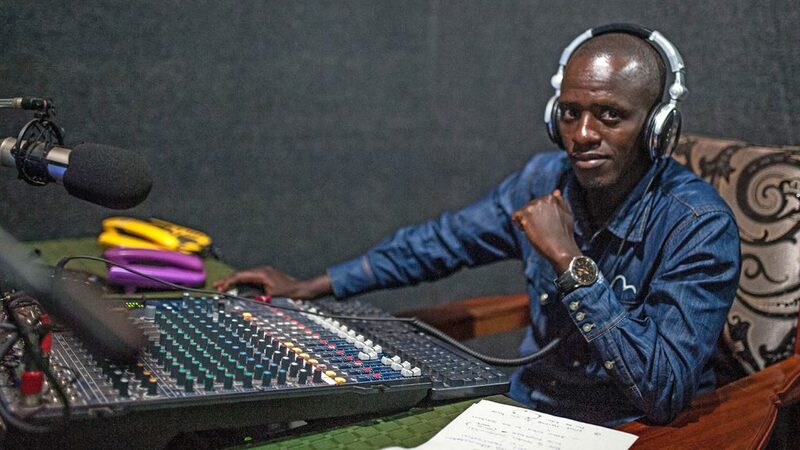 Robert Musasizi, who lives in the town of Masindi in western Uganda, is a radio DJ. But unlike many of his peers, he doesn’t just play music or host light-hearted chat. Instead, he uses his skills to spread information about drug distribution and medical aid, as part of an ongoing battle to stamp out debilitating diseases. 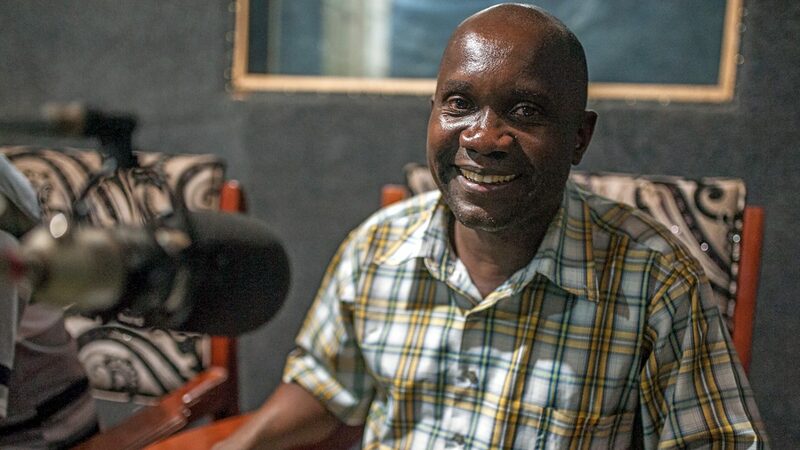 We first meet Robert as he’s preparing to host a discussion show to publicise an upcoming mass drug administration (MDA) project, which will distribute vital preventative medication to communities in Uganda’s Bunyoro region. This is one of the key methods used to control neglected tropical diseases (NTDs), which affect more than a billion people worldwide. 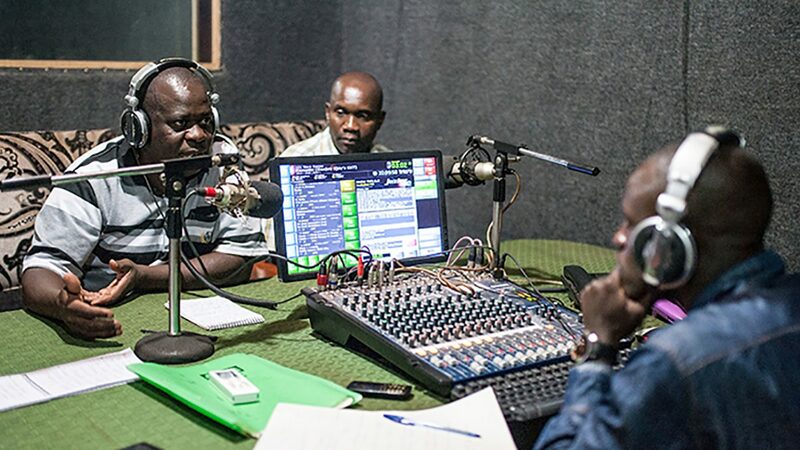 District onchocerciasis co-ordinator William Mugayo and Ugandan Secretary of Health Titus Ariyo discuss the mass drug administration project during a radio broadcast with DJ Robert Musasizi. Two NTDs in particular are currently being targeted in Uganda. 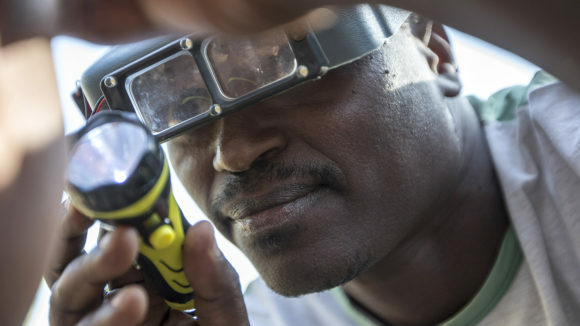 Onchocerciasis, also known as river blindness, is spread by the bite of infected black flies and can cause visual impairments, skin disease and blindness. Lymphatic filariasis is a parasitic disease transmitted via mosquito bite that causes painful disability and disfigurement, often characterised by the abnormal enlargement of body parts. 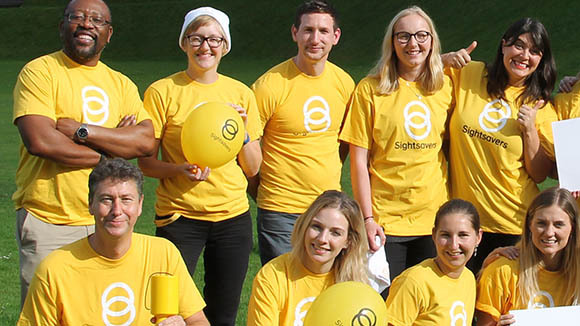 The associated stigma of both diseases can have a devastating impact on those affected, as well as their families and communities. These diseases can be controlled using medication: communities in at-risk areas must be given several doses over the course of a number of years, and the entire community must be treated. Yet in remote areas, it can be tricky to spread the word about forthcoming drug distribution programmes and raise awareness about the importance of taking the medication. This is where radio comes in. 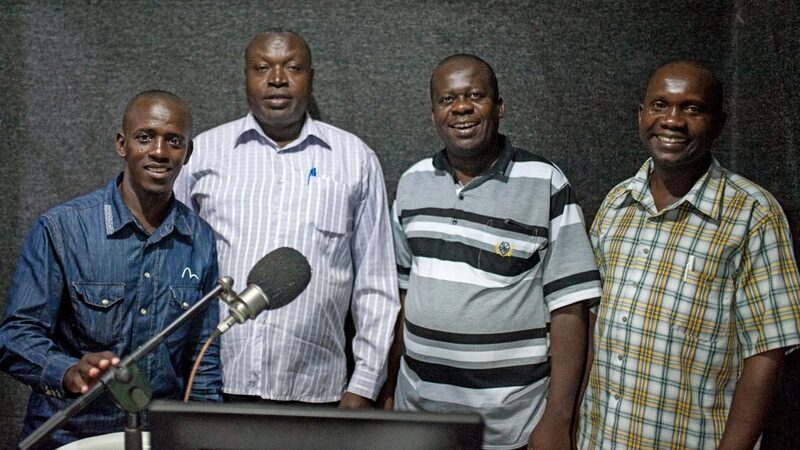 Today, is Robert welcoming three guests into his studio: district health officer Patrick Baguma, Ugandan Secretary of Health Titus Ariyo, and district onchocerciasis co-ordinator William Mugayo. 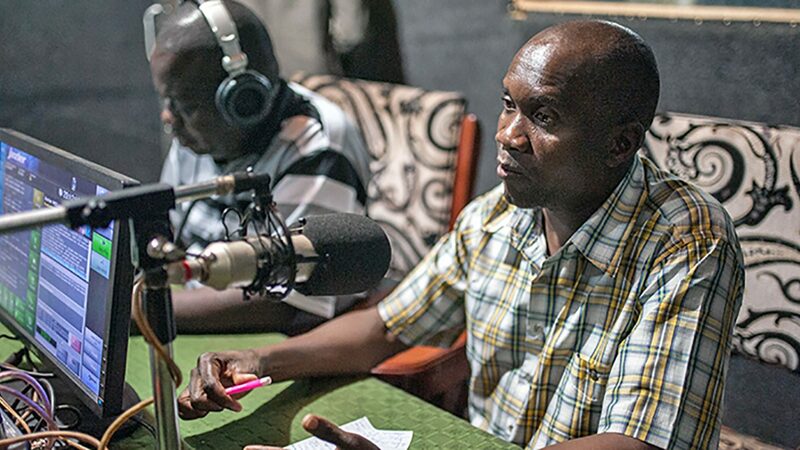 They will discuss the signs and symptoms of river blindness, explaining how mass drug administration can help to eliminate the disease, before inviting listeners to submit questions that they will answer on the air. (From left) DJ Robert Musasizi, district health officer Patrick Baguma and district onchocerciasis co-ordinator William Mugayo. Yet it’s not as straightforward as simply reading a pre-prepared script. The radio content must be carefully tailored for the audience, taking into account the wide cultural diversity of the listeners. “The main challenge is that Masindi is a multi-ethnic district, and we have people settling here from outside areas such as Sudan, Kenya and the Congo,” says William. In an attempt to overcome this, the radio messages are broadcast in four languages to reach as wide an audience as possible. 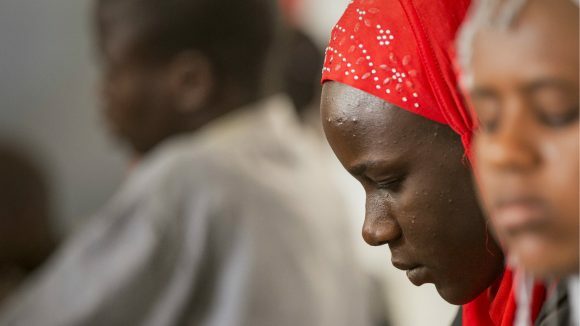 This is particularly important for newcomers to the region, such as Sudanese refugees – while long-term residents are usually familiar with the drug distribution programmes, newcomers are often unaware of their importance. Ugandan Secretary of Health Titus Ariyo. 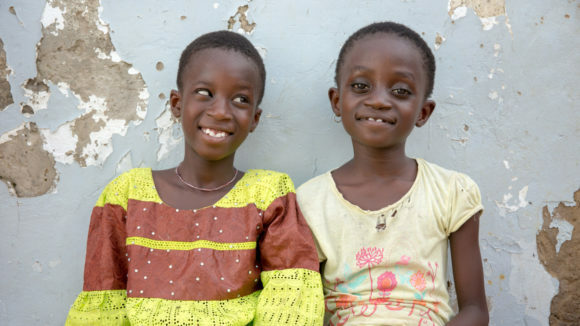 The approach seems to be working: it’s 14 years since Uganda started using mass drug administration to distribute medication, and the campaigns have now become an annual activity in the community. People are aware of the importance of taking the medication, and the risks they face if they don’t. As a result, incidences of disease have fallen, and residents are no longer fleeing from areas where NTDs were once rife. 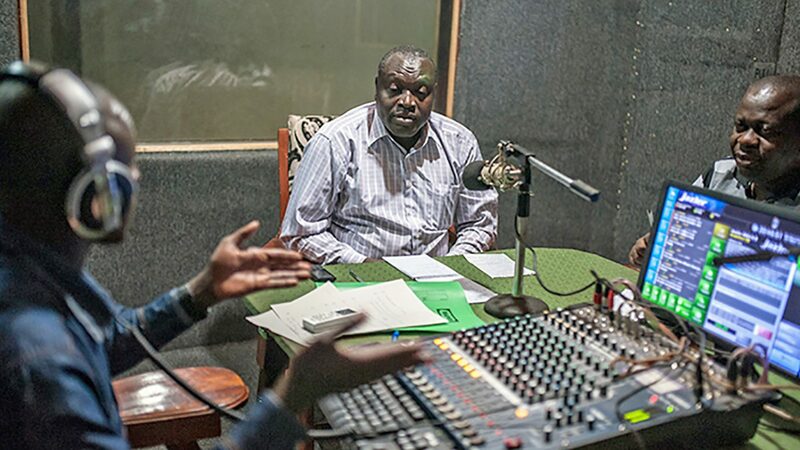 Ugandan Secretary of Health Titus Ariyo during the radio broadcast. “Before, civil servants and teachers would not go to these areas,” explains William. “There was wasted land and a suffering and diseased community. 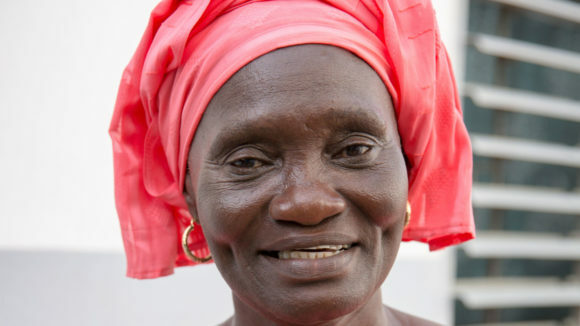 But the mass drug administration has reduced morbidity from onchocerciasis. People are no longer running away and land is now occupied. People are growing food and income levels have increased. The radio talk show guests.